Egypt Adapter Plug Kit has the adapters you will need for traveling to all parts of the beautiful country of the Egypt. Egypt adapter plug allows you to plug your foreign appliances and electronics into Egypt wall outlets. Basic Adapter Kit: Includes one Egypt non-grounded adapter. Egypt is located in Northern Africa bordering the Mediterranean Sea. 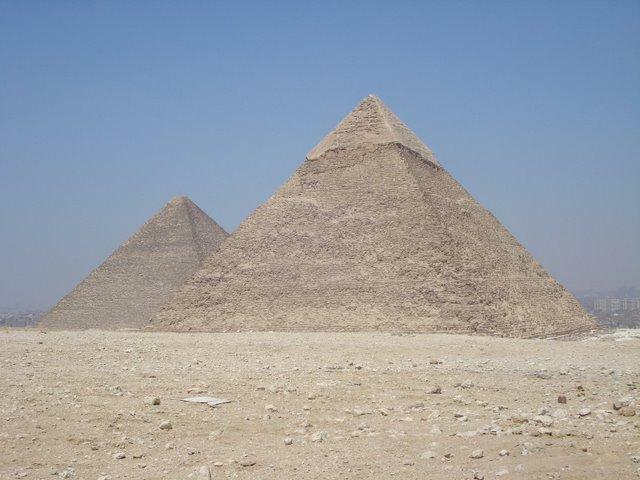 Egypt is a popular travel destination, where visitors can see the ancient pyramids and the Great Sphinx of Giza. Egypt uses the same adapter plug that is used in many parts of Continental Europe. If you will be traveling to bordering countries Libya or Sudan, additional adapters will be required. Egypt is located in Northern Africa, bordering the Mediterranean Sea, between Libya and the Gaza Strip, and the Red Sea north of Sudan, and includes the Asian Sinai Peninsula and its area three times the size of New Mexico. Its climate is desert; hot, dry summers with moderate winters. The terrain is vast desert plateau interrupted by Nile valley and delta. Currency in Egypt is Egyptian Pound (EGP). Credit cards are generally accepted. Foreign money and travelers’ cheques can be exchanged at banks throughout Egypt. Egypt underwent extensive upgrading during 1990s; principal centers at Alexandria, Cairo, Al Mansurah, Ismailia, Suez, and Tanta are connected by coaxial cable and microwave radio relay. Cell phone coverage is best in major cities. When traveling to Egypt you will want to take an international or unlocked cell phone with a prepaid Egypt SIM card. You can also contact your mobile service provider to set up an international calling plan. You will need an adapter to charge your phone. Most cell phone battery rechargers should be multi-voltage, therefore will not require a converter. If the charger says 100-240 volts, 50-60 cycles then your charger in multi-voltage.